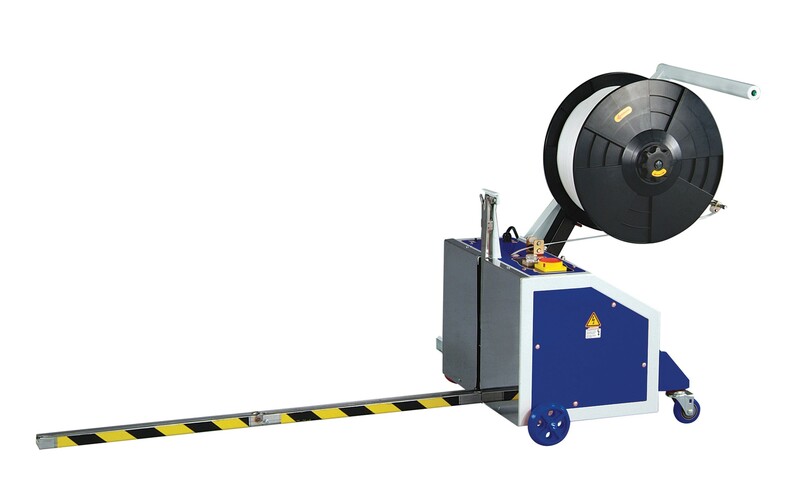 The Optimax semi auto pallet strapping machine is ideal for use in industrial businesses. Specifically designed to assist with the strapping of parcels, boxes and palletised goods to ensure that they are properly secured and ready for transportation. The machine is extremely mobile enabling you to move it around with ease. The machine has been manufactured to the highest of standards ensuring that it is strong and durable for a consistent and professional finish.